Sugar made headlines in January, for all the right reasons. Public Health England want to see less of it, we couldn’t agree more. If you’re looking for clean eating and an energy-boosting superfood, put cocoa on your list. Healthy eating and chocolate are compatible, as reported in The Times this January. Many chocolate manufacturers load their chocolate with cheap sugar. In fact, most mainstream ‘chocolate’ contains more sugar than cocoa, leaving you feeling sluggish, depleted and unsatisfied. Flip it over and check the ingredients – if sugar is listed first, it’s not chocolate, it’s confectionery. We uncover the truth in our Cocoa Manifesto. It means that the smooth, creamy flavour lingers on, while the cocoa makes you feel focused, energised and on top of the world. Ever get the feeling you’re being cheated? The answer shouldn’t be a portion size that’s visibly withered away. Cutting sugar by shrinking what you enjoy isn’t the answer. The answer doesn’t lie with artificial sweeteners either. We flavour and colour all our chocolate with natural plant pigment. Nothing artificial, ever. For too long granola has been descending the health ladder. Take nut content for example, average granolas range between 2 to 12%. We call that falling short. There is a reason for this, nuts are extremely expensive, especially premium ones, like macadamias. Which explains why they’re often missing from your bowl. Granola has strayed from its healthy start. In 1863, Dr. James Caleb Jackson, a nutrition advocate, created the world’s first recipe for what would become granola. He called it granula and it was made from dense, unsweetened bran nuggets, soaked in milk. It’s unlikely he would recognise the modern incarnation. Granola has become nothing less than a sweet dessert. Commercial varieties are often loaded with enough added sugar to rival a slice of cake. We redress the balance. Nuts in four varieties are visibly present. We worked closely with the father and son team who founded Rollagranola. They take a strong stance on the way granola should be which resonates with jaded breakfast eaters; healthier with all-natural ingredients. Ours even includes the mighty macadamia! Anytime lift. No added sugar chocolate. Supermilk locks horns with the traditional sugar-laden concept of milk chocolate. We reduce sugar and increase cocoa to 65%, and rising, across the range. When you consider the ‘average’ dark chocolate only measures up to 36%, that’s a real departure from the norm. The equation was simple, cocoa is more satisfying with less sugar. First we upped the cocoa content, now we give you the option of no added sugar. When cocoa is this good, a hint of natural sweetness simply comes from organic milk. This is chocolate without compromise. Coming very soon, Supermilk Vegan, made with nothing but Ecuador 65% organic cocoa, pressed coconut pulp and unrefined coconut blossom nectar for natural sweetness. Where to find it: our Rare & Vintage range of 100% dark chocolates. fromSaint Lucia to Honduras via Ghana and Ecuador. Made from: purely the nib, the heart of the cocoa bean.. The benefits? The cacao bean is chock-full of health-boosting compounds. Flavanols are beneficial plant-based nutrients. Many cite the cocoa bean as nature’s most surprising ‘superfruit’. Theobromine and phenethylamine are two compounds in chocolate associated with serotonin, the ‘happy’ chemical. So cocoa can also give you a natural lift. One Christmas party too many has taken its toll on most of us. We offer a wealth of alternatives to G&T this January. We hero on antioxidant-packed cocoa shells in sixteaolat mood-matching infusions, fromCacao Breakfast Tea toCacao and Lemongrass. Wellness is no chore when it comes in light infusions from Ginger and Chai to Lemon or Raspberry Tea. No added sugar or sweeteners is a given. 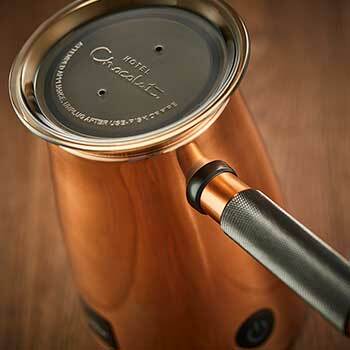 We pare back all our hot chocolates to the best pure ingredient, flaked chocolate itself. In the case of our100% dark Hot Chocolat, we don’t add anything beyond the nib, the heart of the bean. The perfect option for Veganuary when whisked with plant based milk, from coconut to oat. If you don’t want to add sugar to your January, want to stay healthier year round, or are simply curious, our chocolates will always live up to our mantra, ‘more cocoa, less sugar’. Forget soulless calorie counting. Eating whole natural foods which instinctively satisfy can allow you to effortlessly indulge in luxurious treats without overdoing it. Happy January. Breakfast to grazing and beyond. A happier, healthier new year starts here.